As one of the UK’s leading air freight forwarder, 121 Air Sea Cargo Ltd ensures that your cargo is transported to wherever you want it to be delivered. We create efficient and flexible air transport solutions for our customers by co-ordinating airfreight globally. Timely delivery at the least possible cost is our endeavour while servicing to our valued customers. For time critical shipments where cargo is required urgently 121’s airfreight division provides a full spectrum of flexible and cost effective worldwide airfreight options offering competitive airfreight rates and Logistic Cargo Services all around the world. We have representations and air cargo handling services at the world’s busiest cargo airports as well as fully trained and experienced personnel available 24/7 to respond immediately to quotations and shipment requests. Our product range includes import, export and cross trade based on cargo, express and time definite international freight. We understand the importance of communication as it is key to ensure your cargo is delivered as promised. Using our bespoke communication, tracking tools and single point of contact, our esteemed customers are always kept up-to-date with the progress of their air cargo. Cost Effective: Our long standing relationships with major global carriers enable us to fulfil & offer the best deals suited to your budget. Time Definite: We select the service best suited to your delivery schedule. Delivery options: Door to Door, Door to Airport, Airport to Airport. Our specialized team of experienced personals with more than 30 years of collective experience of handling airfreight shipments to and from any major city around the world will assist you with all your airfreight requirements. Our operational presence at all major airports around the world, strong network of freight forwarding Companies, good working relations with all major airlines, warehousing at airports, and swift collection and deliveries enable us to provide tailored services to match your logistics needs. Over the years, our personalized cargo services for air freight shipments have helped organizations of all sizes to meet their deadlines at most cost effective rates. 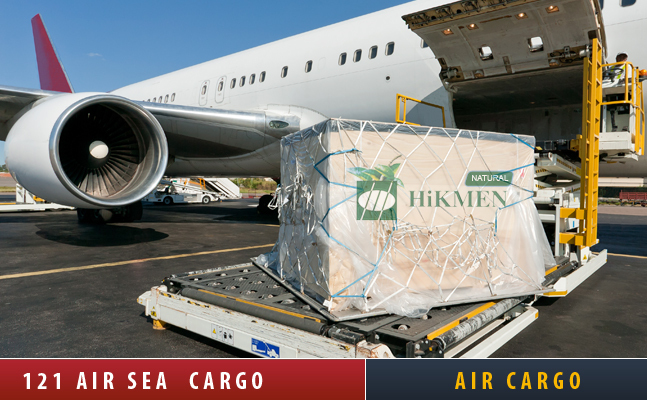 For Air Freight import and export, 121 Air-Sea Cargo Ltd is your trusted and reliable service provider.